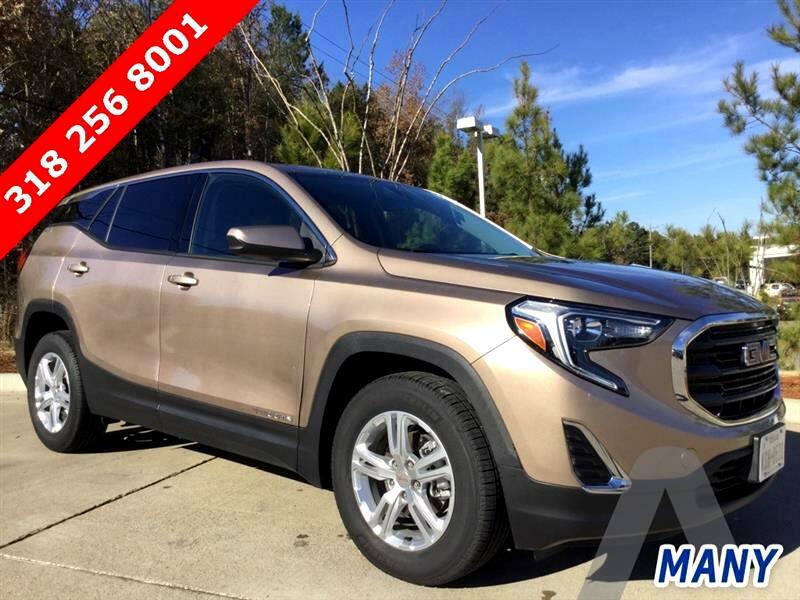 If your in the Market for a Mid-Sized Crossover and you haven't driven the restyled GMC Terrain you owe it to yourself to drive one before you buy a competitors vehicle. You'll be amazed at the interior styling and comfort of this Terrain. You'll wonder why it took so long to get the Coppertino Metallic Paint when you see this new color for 2018. You'll like the features you find on this Terrain with the SLE Trim Package. You'll receive the Remaining GM Factory Warranty with your purchase. Convenient and Competitive Financing is available thru one of our major auto lenders if you choose. Testa Marketplace Pre-Owned of Many 820 Fisher Rd Many LA 71449. 318 256 8001 !